What’s the Future of the Independent Distributor? I’ve addressed this issue in the past, and as time goes on, but I’m afraid the independent distributor may be following the way of the corner hardware store. Distributors need to step it up a notch! Long before Grainger, Fastenal, Home Depot and the thing they call the Internet, the local industrial distributor was the backbone to local manufacturers and businesses. My, how things have changed over the past several decades. I believe the small guy still has a chance to compete on a local level, but they need to change the way they do things. They need to know what their value proposition is, and most importantly, know their customers and what they want. If they can’t add value, then what’s the point? 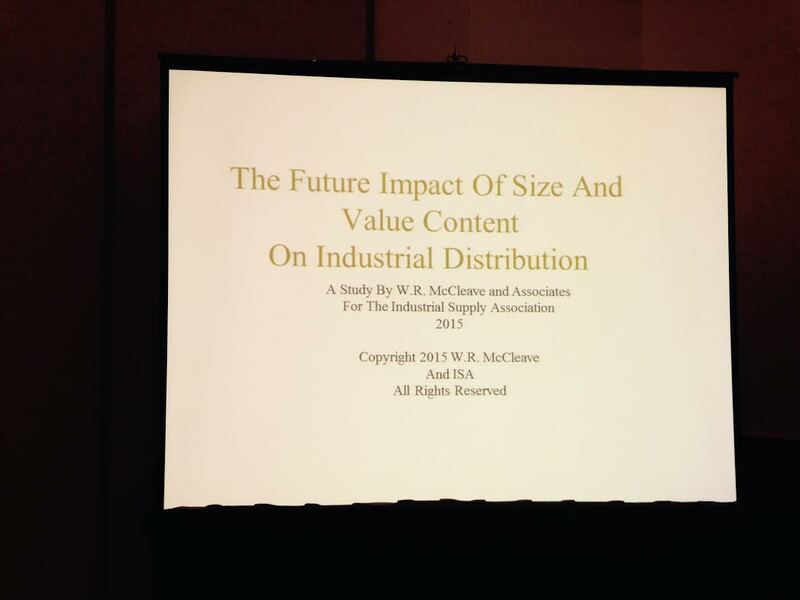 At the 2015 ISA Convention in Cleveland, one of the breakout sessions, “Looking Ahead at Distribution: The Future Impact of Size and Value Content 2015,” revealed some interesting issues. Mike Hockett, Associate Editor of Industrial Distribution magazine, did a good job summarizing both the results of the study, as well as the subsequent panel discussion. Service sales represented only 5% of their total sales. Buying groups represented the best support. Manufacturers relied on small local distributors for customer loyalty and technical expertise. It’s no surprise that cutting tools and abrasives remain the top two product categories that industrial distributors sell. Both require technical knowledge to support and troubleshoot problems. The question is, are the distributors going to charge for this expertise and are their customers going to be willing to pay for it? Embrace Technology – get an online sell site, integrated supply services and electronic billing for customers to order easily. Value Proposition – need to define so they can focus on the things that matter most and where they make their money. Buying Groups – need to get in one or more so you can stay competitive and make more money. Technical/Engineering Expertise – set yourself apart from the pack. Are Independent Distributors Helping Amazon Succeed? Manufacturers: Tips on Getting More of Your Distributors Time.